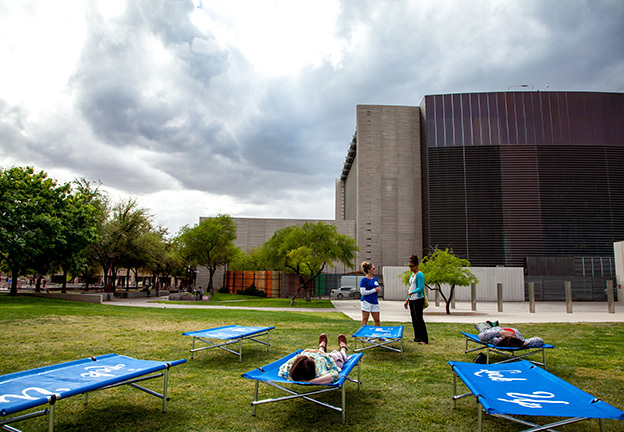 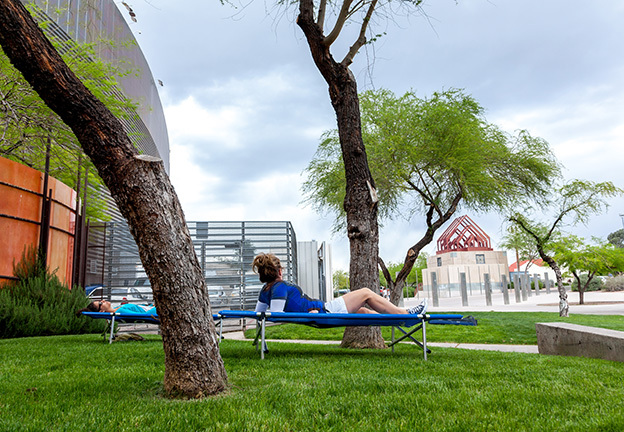 Cloud Cots is a Social Sculpture created for Hance Park in downtown Phoenix by Scottsdale arist, Erin V. Sotak. 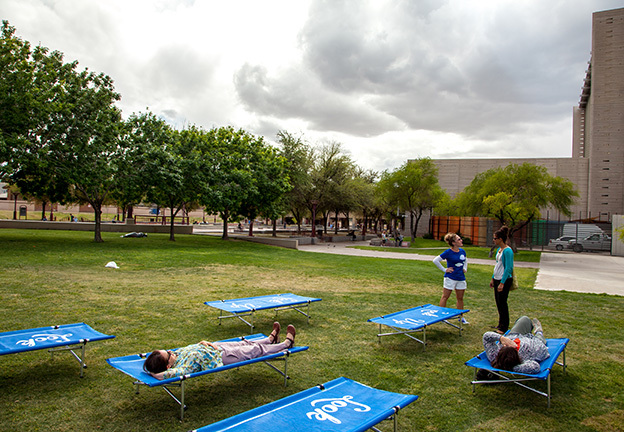 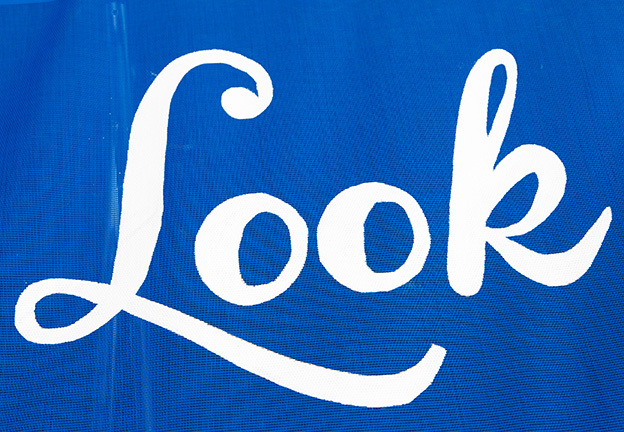 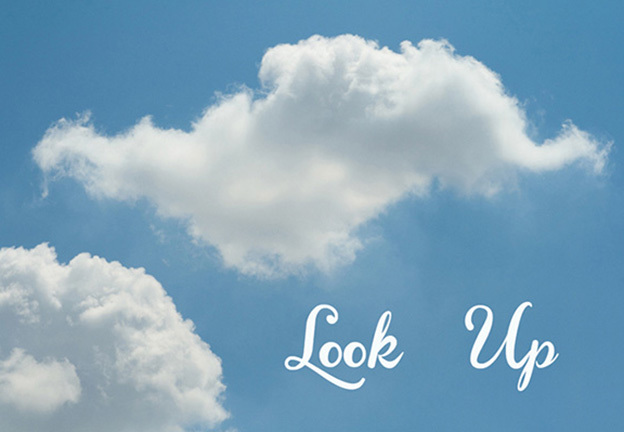 Ten sky blue cots with the simple phrase, Look Up, written in white down the center of each will be created to engage the public in a shared poetic experience. 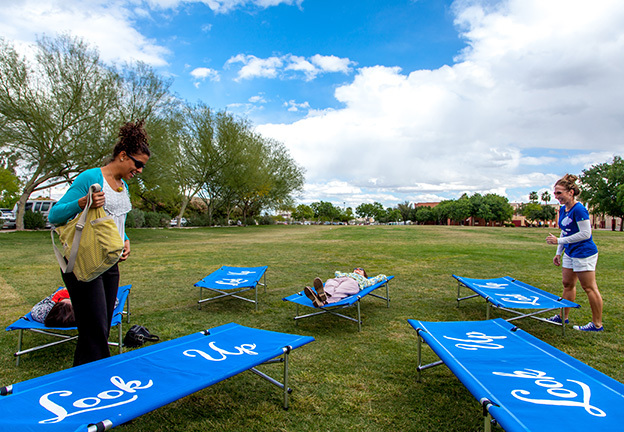 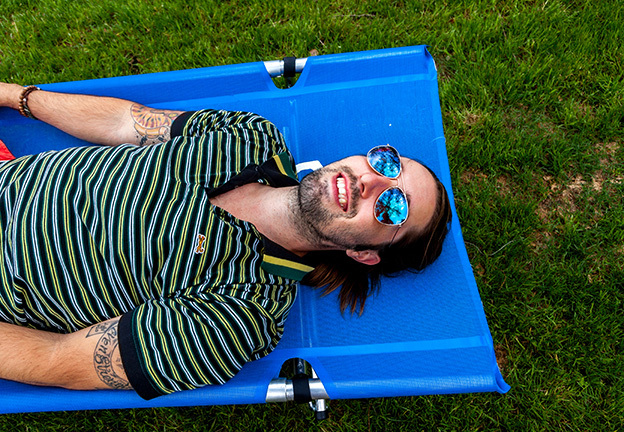 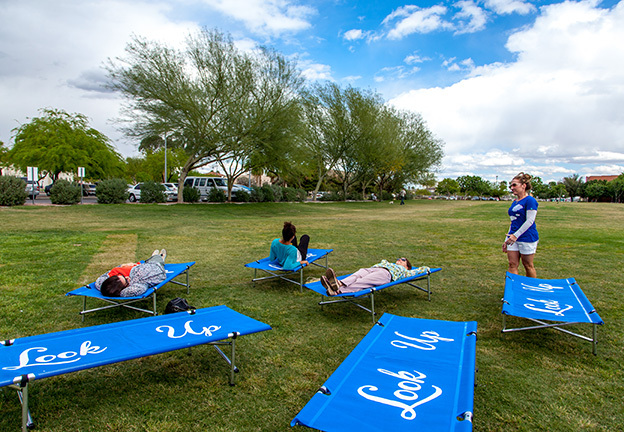 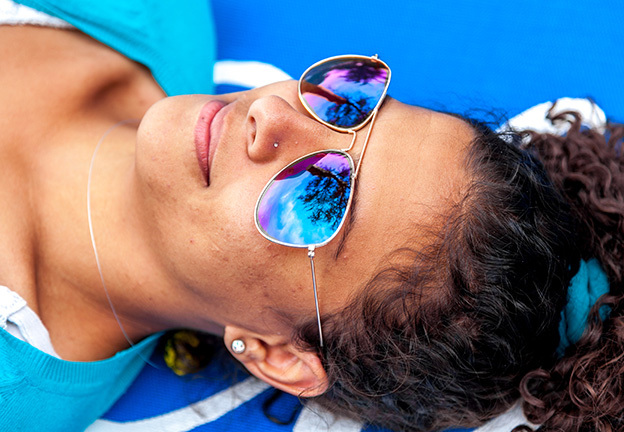 The Cloud Cots will be placed in the park with the purpose of inviting individuals to stop, interrupt their routine and simply, watch the clouds. 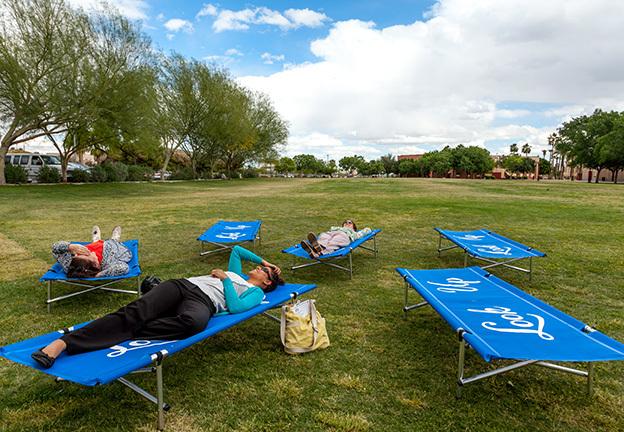 This artwork was commissioned by the Phoenix Office of Arts and Culture.